Daniel Gislason comes from a distinguished family of lawyers dating back to his grandfather, Bjorn Gislason, who graduated from the University of Minnesota Law School in 1900. Dan’s father, Sidney, founded Gislason & Hunter, and his son graduated from the University of Minnesota Law School in the year 2000. Dan takes his legacy seriously, and works vigorously to maintain the firm’s reputation for excellence and integrity. He is known as a peacemaker whose advocacy is intense when he feels someone has been wronged. Dan has been inducted as a Fellow in the American College of Trial Lawyers, and has been consistently named as one of Minnesota’s Top 100 Super Lawyers by Law and Politics. He is an advocate in the American Board of Trial Advocates, and he was featured as a leading Minnesota attorney in the January 2003 issue of Connect Business magazine. Dan is retired and his practice is limited to Mediation and other forms of ADR. Dan’s work has evolved over the past 40 years, from a general civil practice to a trial practice representing both defendants and plaintiffs, together with a substantial family law practice. 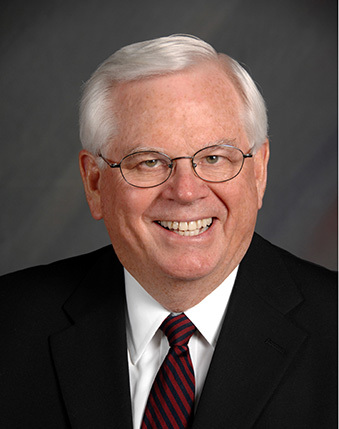 He serves statewide as a mediator of matters involving civil litigation and family law.